Sign up and receive Property Email Alerts of Townhouses for sale in Model Park, Witbank. 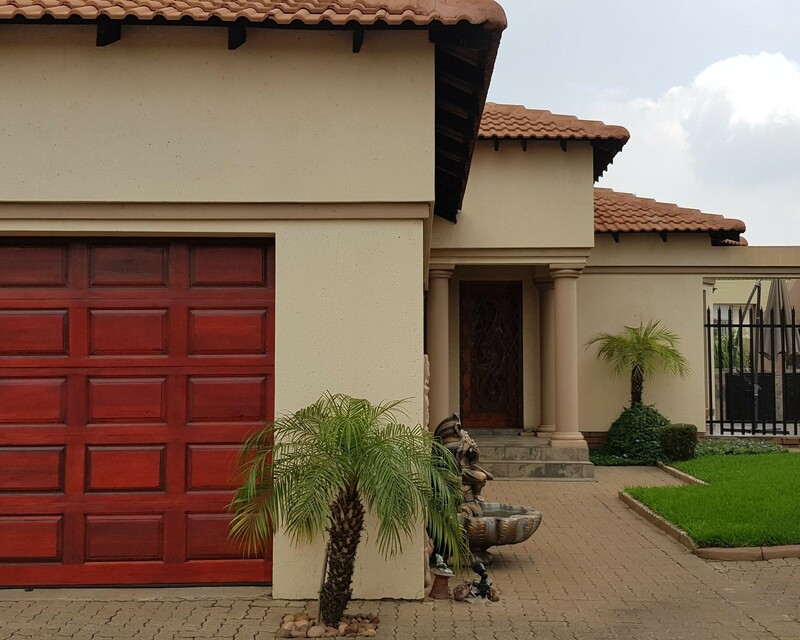 3 Bedroom Tuscan Townhouse in Witbank in the popular suburb of Modelpark. Walking distance to school + amenities. Lovely pool with braai. The property also offers you 3 bedrooms, 2 bathroom,s (1 en suit), open plan kitchen with granite finishes, breakfast nook, extractor fan and sculler laundry, dining, launge, double motorised garages that inter - leading into the house, also with extra cupboards. Value added extras: Laminated floors, granite finishes, under floor heating in living areas, security gates at outside doors, water feature at pool plus braai area. The levies includes the garden for once a week, complex electric fence. Call today to arrange for a viewing. Sign-up and receive Property Email Alerts of Townhouses for sale in Model Park, Witbank.